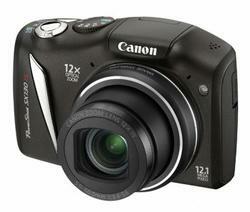 Canon has launched its next version of the Powershot model CanonSX130IS. 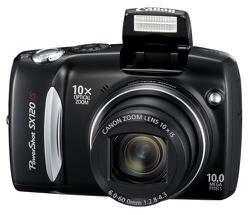 This can be considered a successor to Canon Powershot SX120IS. The new model has a 12x optical zoom and 12 MegaPixel resolution compared to the older SX120 with a 10 mega pixel resolution and 10x optical zoom. The new version has HD video recording capability shooting at 1280 x 720 resolution. The 12 Megapixel camera can shoot at approximately 4000 x 3000 pixels and 4000 x 2248 in widescreen mode. The ISO3200 Mode is missing from Canon SX130IS. Continuous Shooting Speed Approx. 1.0shots/sec. (In P mode) (approx. 3.0 shots/sec in Low Light) Approx. 1.3 shots/sec. Shutter Speed Range 1 - 1/2500sec. 15 - 1/2500sec. (Total shutter speed range.) 15 – 1/2500 sec. Continuous Shooting Approx. 1.0shots/sec. (In P mode) (approx. 3.0 shots/sec in Low Light) Approx. 1.3 shots/sec. To summarize the Canon sx130IS is a newer improved version of the older model Canon sx120IS. The canon image processor is much better at color balance and overall image capture than the FZ35 - images are brighter and so capture more details otherwise lost in shadow or just a tendency the FZ35 has towards gray-scale processing in order to get the excellent sharpness the FZ35 is known for. After reading all the reviews about SX130, I bought this one for 12.6K. The camera photo clarity is very good and HD video quatlity is awsome with stereo sound but its not full HD compare to Nikon S8100. However the manual options and menu given in camera are good for proff photographers and as well as beginners. I will rate 8 out of 10 in terms of price, feature and quality. Cheers!!! what all this new camera is good for and where all it lacks in practical scenarios. I too am gonna buy the same thing soon, so just want to know your experience.